Thought you’d like to see these. I don’t get to hand out very many. 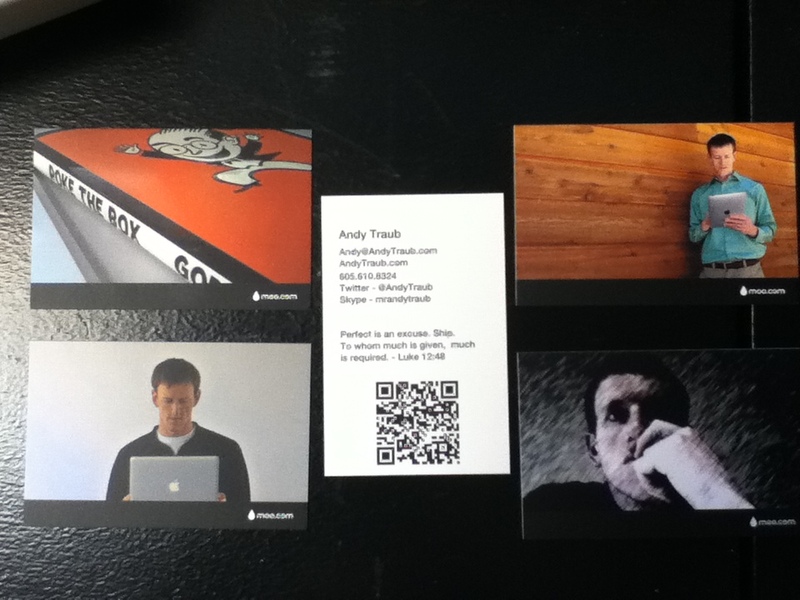 You can get some of your own at Moo.com. They ain’t cheap but they’re worth it.